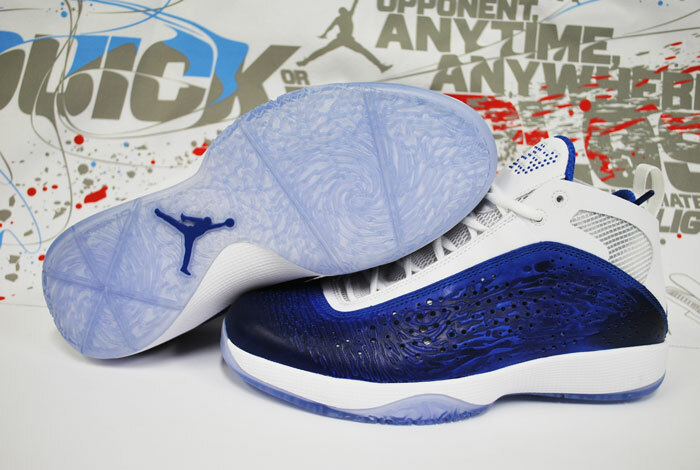 Eastern Conference All-Stars will wear this colorway of the Air Jordan 2011 in Sunday's game. 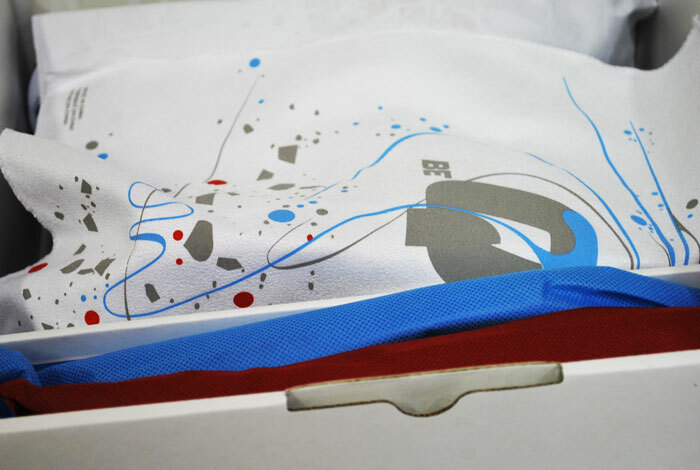 This weekend marks the official launch of the latest shoe in the legendary Air Jordan series - the 2011. 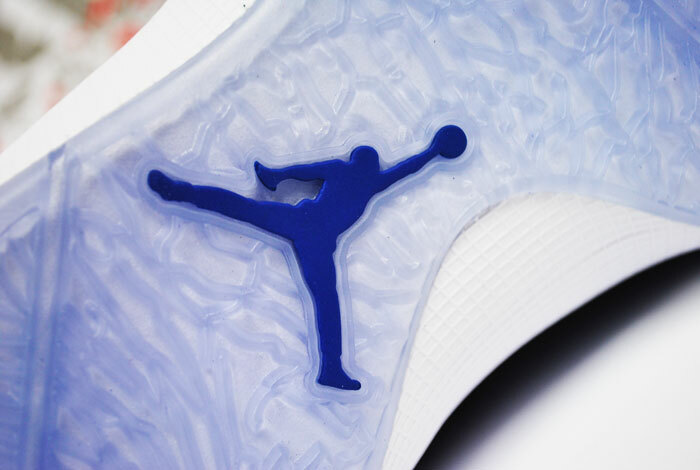 Featuring a handcrafted Patina leather upper, the Air Jordan 2011 places emphasis on performance, allowing the wearer to switch out 'quick' and 'explosive' midsoles. 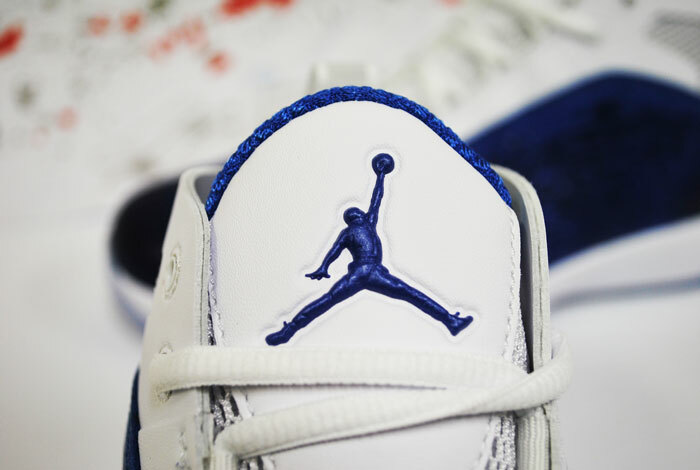 Dwyane Wade debuted the shoe on Christmas Day and has exclusively worn the shoe ever since, but a few of his Jordan Brand All-Star teammates are expected to join him on Sunday. 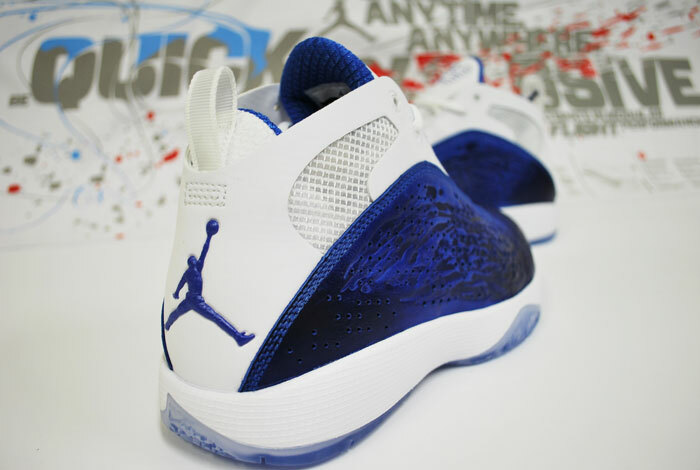 Expected to be seen on the feet of Wade, Ray Allen and Joe Johnson in the All-Star Game is this white and royal blue colorway of the Air Jordan 2011. 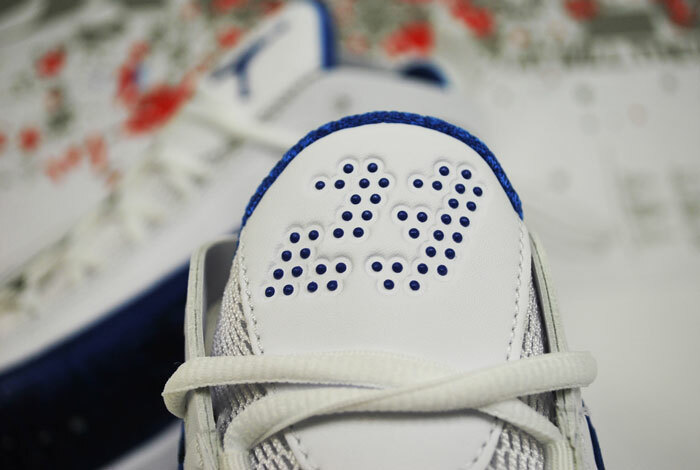 The shoe features a white leather base with a Varsity Royal hand-finished Patina leather mudguard. 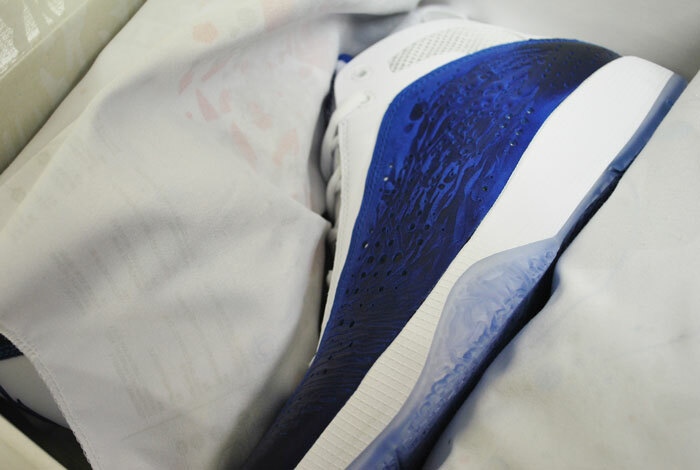 Royal also hits the inner liner and branding points throughout, while a blue-tinted translucent outsole completes the look below. 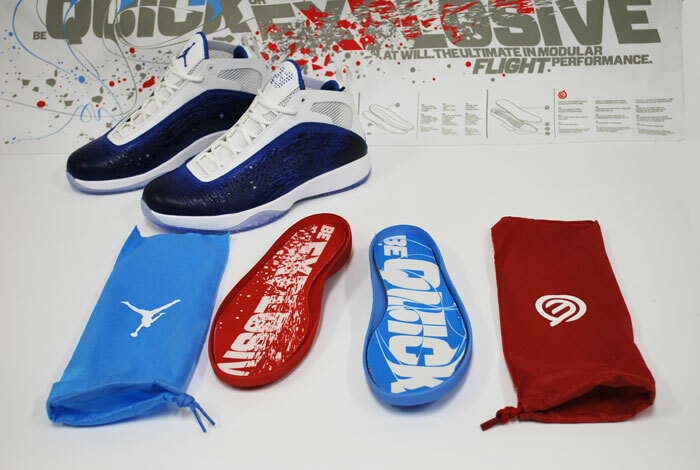 With an official release set for Saturday, you can stop by Millennium Shoes and pick up your pair early starting today.